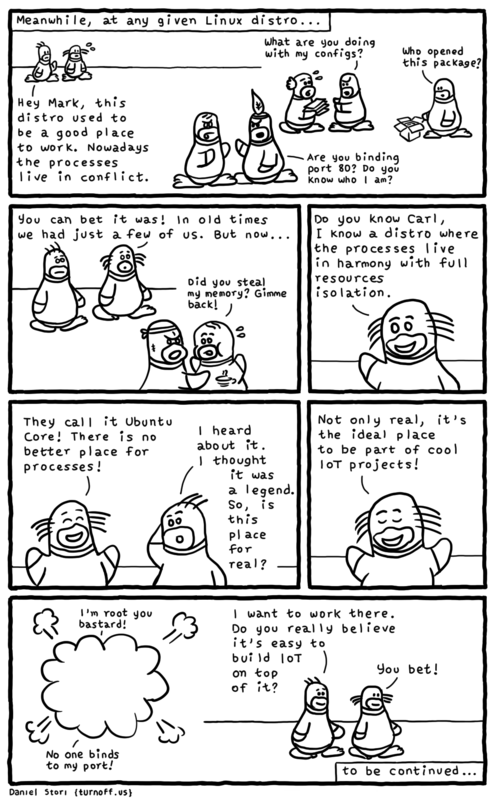 Nowadays, Linux processes are forever in conflict. Is there somewhere out there for them to live together in harmony... perhaps by separating them via full resource isolation? Check out part two of this comic here!